Pregnancy is challenging, especially when it comes to sleeping through the night. In today's post, I'll share some tips for sleeping more comfortably during pregnancy and then will tell you about the new GhostBed. 1. Drink plenty of fluids early in the day and reduce the amount that you drink before bedtime so that you don't have to frequently get up to use the bathroom at night. 2. Exercise regularly. You will want to consult your doctor about your exercise plan. Personally, I take two daily walks. 3. Cut out caffeine. It's not good for pregnancy and may also make it more difficult to sleep. 4. Avoid acidic foods that may cause heartburn and indigestion so that you are more comfortable while you sleep. 5. Relax before going to bed. Avoid using computers before bed or anything that makes it more difficult to fall asleep. 6. If nausea makes it difficult to sleep, talk to your doctor. For me, eating soda crackers before bed helped to ease some of my symptoms and made it easier for me to sleep. 7. Don't be afraid to nap throughout the day if you have difficulty sleeping through the night. 8. Sleep on your left side as this is recommended to help blood and nutrients flow to your baby. 9. If you feel anxiety, talk to your doctor and spouse to help ease your worries. Pregnancy is stressful and you are not the first pregnant woman to worry! However, it is really important to manage stress and anxiety, so try to address this sooner than later. 10. Give your body good support. You will want a good quality mattress and pillows. Personally, I use a GhostBed mattress. I really like the good support that it provides and that it is soft. Now that I have shared some tips, let me tell you about the mattress that I am sleeping on. We recently had the opportunity to try a new GhostBed. This trendy bed is amazing for multiple reasons, including the free shipping, ease at which we set it up, and the comfort of our new bed. Plus, the price is amazing considering the quality and comfort. Let's start with shipping. Shipping is currently free. FedEx delivered the mattress to our door. It arrived in a box that easily fit through our doorways. We opened it up. This video shows the process. It was really cool that the mattress expanded so quickly! Here is a photo that was taken about 10 minutes after we pulled it out of the box. Here is another photo from 24 hours later. We went with king size since our previous bed was king size. The new GhostBed mattress is comfortable for both of us. We noticed that this bed is a lot smoother than our old one in terms of feeling the other person get into bed. For instance, my husband used to wake me up when he got into bed after me on our old mattress. He is able to go to bed after me and I don't even notice. It's a great mattress for the two of us to peacefully sleep through the night. 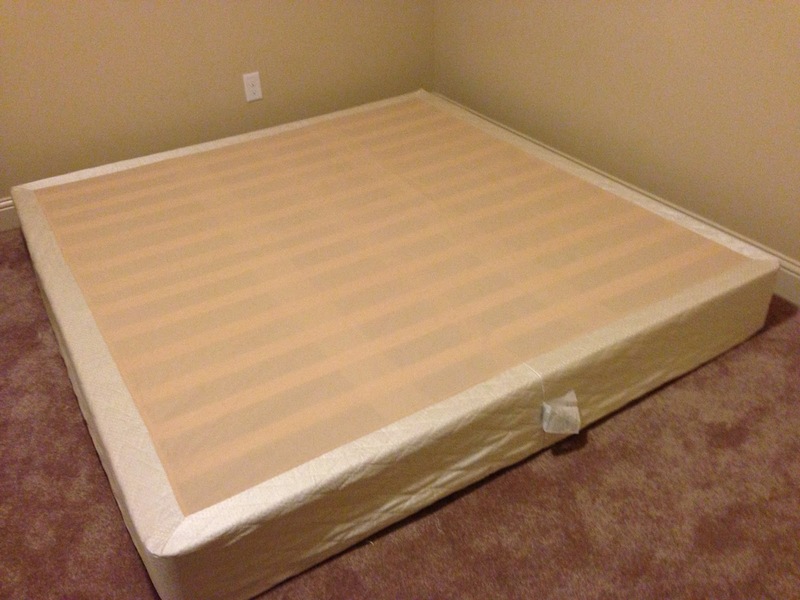 In addition to the mattress, we also ordered the GhostBed box spring. It took my husband approximately 30 minutes to assemble the box spring with his drill. They made it easy to space out the boards thanks to the fabric that guides the distance. It was nice to quickly put this together and then apply the cover that comes with it. We are really happy with our GhostBed because it was easy to set up and is very comfortable! Visit GhostBed to learn more and to shop for their trendy mattresses! If you plan to order a trendy GhostBed, I would love for you to use my referral link here! If you use this link, you receive $50 off your purchase and I receive a small commission. Disclosure: This is a sponsored post that contains affiliate links. Opinions are honest and my own. Be sure to consult your doctor with any questions about pregnancy, including whether the tips above may help you as we are not medical professionals.